Overflowing with romantic charm, Central Vietnam offers endless opportunities to create your perfect destination wedding. Whether your dream is a wedding just for two, a small ceremony with family and a few friends, or an elaborate event for hundreds – Hoi An Events Weddings offers a diverse range of venues and styles. From boutique hotels to 5 star resorts, delicious local cuisine to fine dining, there is something here for every palate and budget. We love building relationships with our clients. From the early planning stages to the last dance, we are committed to making your wedding dream a reality. Detailed below are some of our favorite venues and styles. Within Hoi An and Da Nang there are a range of resorts on the beach, from more family oriented fun resorts to intimate private luxury resorts. They all offer a beach and garden ceremony set up with indoor and outdoor eating options. 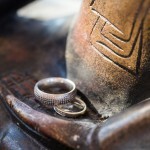 For smaller nuptials, we know a few hidden treasures. For example, we can find you a villa tucked in a local fishing village for a unique and rustic wedding celebrantion. Visit our Beach Wedding Pinterest Board to explore the possibilities. Situated within the lush green countryside and just 5 minutes from the old town, have your special day in a tropical Vietnamese riverside garden – a great way to blend a western style wedding with a Vietnamese twist. For couples looking for a secluded location this is a great option. Guests can arrive by sunset boat and be welcomed with a tropical cocktail before sharing in your riverside ceremony. Preview this location on our Riverside Wedding Venue Pinterest Board. As a UNESCO heritage site, Hoi An is a beautiful backdrop for your wedding ceremony. Choose from a pagoda or one of the ancient houses in the old town to enjoy a real blend of Vietnamese and Western. Why not include a Vietnamese tea ceremony to involve both sides of your family in an age old Vietnamese tradition? This location also offers a perfect setting for your wedding photos, with the lantern lined streets of the old town and riverside views. 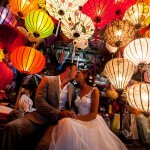 For sample photos, visit our Hoi An Town Wedding Pinterest Board. If you are looking for something unique that will have your guests talking for years to come, take to the mountains and exchange your vows in a traditional local village. Enjoy a local feast for your reception and celebrate with the local community in a truly authentic style. To immerse you in the local customs, the village will host your guests for an overnight stay during the celebration. Feel free to browse the photos on our Mountain Wedding Pinterest Board for inspiration! Take to the river and host your wedding ceremony afloat. Cruise the idyllic water of the Tu Bon river and experience the river life of Hoi An at sunset or by full moon. Enjoy a cocktail party or Vietnamese meal with your friends and family. Perfect for a small family group or intimate love celebration for two. Release lanterns on the river for a romantic end to your ceremony. Our Riverside Cruise Pinterest Board offers ideas of what’s possible. If you share a passion for each other and the depths of the big blue, or you simply like to do things differently, take to the sea and exchange your wedding vows in an underwater ceremony! Guests can join you in the aqua waters of the South China Sea or enjoy the ocean vista from above water, on board your private wedding vessel. We can arrange a seafood feast on the shores of Cham Island or bring you back to the mainland for a meal of plenty in Hoi An. 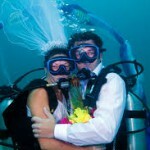 Dive into the possibilities on our Underwater Wedding Pinterest Board. We love to explore and create new wedding venues for our couples. If you have something different in mind, share with us your vision and we will do all possible to find the perfect dream wedding location for you. Choose from one of our wedding styles to compliment your venue or tell us about your dream wedding day. We work to the philosophy that each wedding is unique and different and we love to help our couples reflect their individual style and personality in their chosen venue. Do you have a favourite colour, flower or era that you wish to showcase or prefer to keep it simple and understated? We are here to help you put your personal stamp on your wedding day. 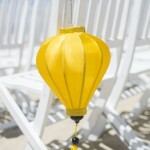 Hoi An is home to the iconic silk lantern and a romantic decoration choice for weddings in this area. 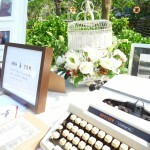 You can choose to make this your whole wedding theme or add it as a small detail as a favour or aisle decoration. An amazing array of colour choices, from romantic soft tones to vibrant jewel coloured lanterns to compliment any wedding colour or theme. The Hoi An lanterns are also the perfect backdrop for a photoshoot in the old town, as you’ll see on our Iconic Hoi An Wedding Style Pinterest Board. Choose a rustic wedding venue hidden in a fishing village by the sea, a bamboo hut by the river or perhaps an ancient building in the old town appeals for your vision of an authentic wedding day experience. Let us help you find that unique venue and create your dream wedding day. If you have chosen a resort for your big day, let us help bring a rustic feel to your luxury venue. We love to blend and create a fusion feel for your day. 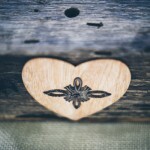 We invite you to visit our Rustic Wedding Style Pinterest Board for more ideas. Choose from one of the many seaside resorts and take your beach side setting a step further and incorporate this into the theme of your wedding day. 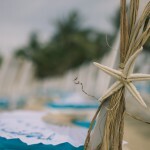 Add touches of the ocean such as sand, shells and starfish as decoration items on ceremony chairs, centre pieces and any printed items. Choose the colour of the ocean to compliment the beach theme and enjoy a barefoot wedding by the sea. Breeze through some ideas on our Beach Wedding Style Pinterest Board. Let us add a touch of luxury to any wedding venue. 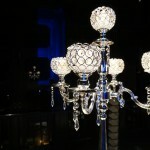 What about an exclusive cigar whisky bar, hints of gold or a chandelier? Let us add texture amd glamour to your wedding with an opulent theme of gold or red. Indulge in a cascade of flowers for your ceremony arch, or a flower wall for a stylist photo booth backdrop. To preview how we can help you add a sense of timeless elegance to your celebration, visit our Luxury Wedding Style Pinterest Board. If you love everything vintage, we can source and create bespoke design items to add a classic feel to your wedding event in Central Asia. From a simple guest book table with vintage items to a full vintage wedding affair, we can add the touches your wedding day needs. 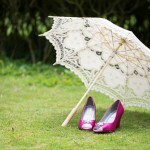 Visit our Vintage Wedding Style Pinterest Board for ideas. We can help you bring the traditions of a western wedding to your chosen destination and help to create a harmonious day that blends the best of both cultures. Our wedding celebrants work closely with you prior to your service to help you plan your ceremony and understand more about you as individuals and a couple. You can be assured that your wedding ceremony will be sincere, stylish and reflective of your relationship. Please contact us here for celebrant information. A Buddhist blessing is a spiritual Ceremony to connect you as husband and wife on your wedding day. The blessing is a series of readings and rituals conducted by an English speaking celebrant and a Buddhist Monk from a local pagoda. This can be performed intimately as a couple or with family and friends and can be arranged at one of the pagodas or at your venue of choice. This brings a spiritual touch to a celebration and we can incorporate western elements to compliments the traditions of the East. Our Buddhist Blessing Pinterest Board can help you decide if this ceremony is right for you. Getting married again or renewing your vows is a wonderful opportunity for a husband and wife, after many years of marriage, to declare and re-affirm their love for, and commitment to, each other. Your experiences will help you focus on what is important for you. This time you can create a wedding ceremony without the constraints of pleasing anyone but yourselves. Whether you prefer a simple casual wedding or a jubilant ceremony for everyone you know, it’s your wedding ceremony, your choice! Please contact us here for celebrant information. 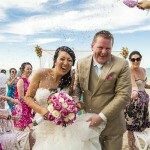 Whether you are after a discreet ceremony or ridiculously over the top bash, Hoi An Events weddings have you covered. Our dedicated team can conjure up a perfect event and work with you on every detail to ensure your special day is everything you and your partner could hope for. With its endless beaches, abundance of quality resorts, world class tailors and a relaxed, welcoming atmosphere, Hoi An is the perfect place for couples to come together and cement their bond. Please contact us here for celebrant information. Vietnam is rich with tradition and customs and should you wish to reflect some of these elements in your wedding ceremony we can guide you through the process. 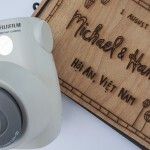 We can add simple touches of Vietnam or you can commit to getting married Vietnamese style. Tea has always been an essential part of Vietnamese life. The offer and acceptance of tea is a very important ritual in a Vietnamese marriage. To preview a full tea ceremony, or see how we might incorporate it into your western ceremony, visit our Vietnamese Tea Ceremony Pinterest Board.